Help! Someone copied my YouTube video – now what? 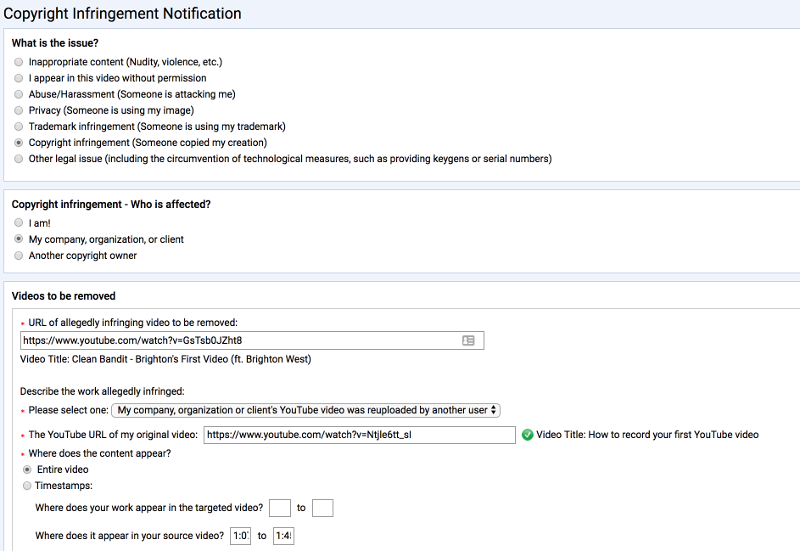 If you’ve discovered your YouTube video on someone else’s channel, you can have it removed with a simple form. Remember, people can add your videos to playlists, but they can’t make a copy of your content (any part of your content) without approval. There are cases of Fair Use, so be sure you understand that law before you go accusing someone of copyright infringement. I’m not a lawyer, but it’s pretty safe to say that if someone just posts a copy of your video, you’ve got a pretty strong case. But if they use a short clip and add commentary specific to this part, then they’ve got a strong case for fair use. You’ll need to check some boxes certifying that you’re telling the truth. I’ve received confirmation of the removal within 24 hours – but I’m not sure if that’s common. When someone visits a link to the copied content, they see a message that I requested it be removed. 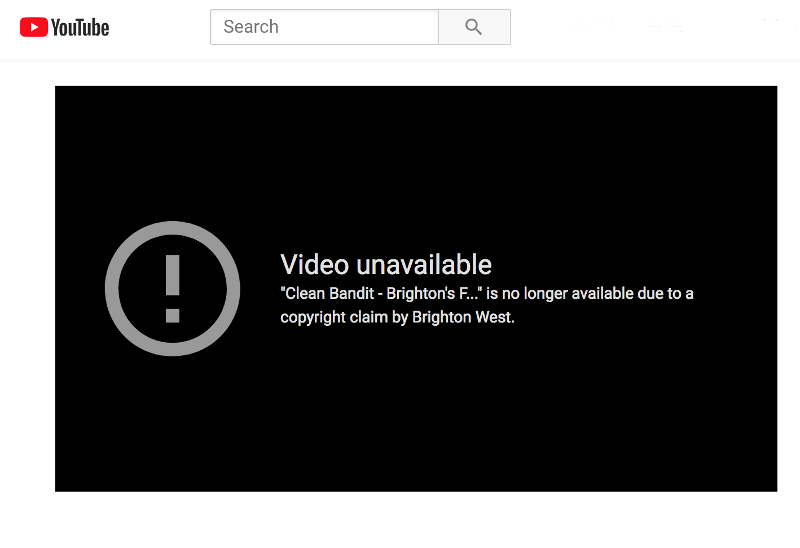 But the video disappears completely from the other channel. And grow your coaching practice. 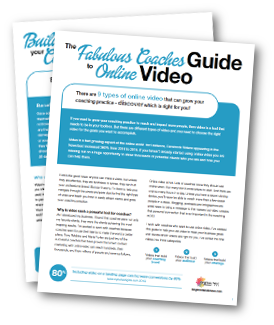 This comprehensive guide will start you moving in the right direction with online video - by matching the right type of video to your strategic business goals.